Take your love of leather jewelry making to the next level with this curated collection featuring hours of instruction and must-have leatherworking tools. Fall in love with leather jewelry making! Discover the ins and outs of leather jewelry making with this curated collection chock full of expert instruction and leatherworking tools. Whether you're new to leather jewelry making or are looking for new techniques and tips, you're sure to be inspired and delighted! Take an introductory and intermediate lesson in leather jewelry making with teacher and jewelry artist Melissa Cable. Then, use the included tool kit, cutting board, and rotary cutter to create your own one-of-a-kind leather jewelry pieces. You can't go wrong with hours of leatherworking instruction, an interchangeable tool kit, cutting board, and rotary cutter for ONLY $109.00! Join Melissa Cable, jewelry teacher and founder of the Create Recklessly line of leather tools and supplies, for an in-depth introduction to working with leather. Begin by learning all about the different types of leather, and what works best for jewelry projects, then move on to the best leather tools for each technique. More and more jewelry makers are turning to leather for its color, texture, and ease of use. No matter how you wish to use leather, this video tutorial will help you build a solid foundation of leatherworking skills, from learning to cut, pierce, sew and glue leather to setting hardware including eyelets, rivets, spots and snaps. Watch and learn as you create a bracelet that uses all of the techniques Melissa shares in this video tutorial, ensuring your skills are practiced to perfection. You know how to set hardware and how to make basic cuts. Now it's time to take leather jewelry to the next level with Melissa Cable, jewelry teacher and founder of the Create Recklessly line of leather tools and supplies. Learn alternative closures such as buckles and magnets and using common jewelry-making clasps like hooks and lobster claws. Explore ways to inlay beads, stones and fiber into leather and repurpose leather cord, giving it a life beyond a simple leather necklace or bracelet. This video is for students who have some experience with leather but want to go beyond traditional uses. Melissa will explain ways to use your other jewelry-making skills with leather, utilizing metalwork skills to make custom snap covers and fold formed leather, bead weaving to embellish leather cuffs and needle felting to add texture and color to your designs. You'll finish several projects, including bracelets and pendants, with lots of opportunity to customize the projects to your liking! Pierce slots and holes; set rivets, eyelets and snaps; round corners and so much more with this leatherworking tool kit featuring 17 interchangeable heads. Plus, each of the heads is clearly marked so there is no guesswork when it comes to choosing the right tool for the job. 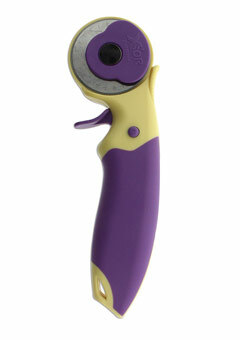 This 45mm rotary cutter works great with leather, fabric and paper! There is a protective blade guard and locking device to prevent unwanted cuts on you or your leather. Use this cutting board to punch holes, stamp and cut your leather! The durable board is the perfect size for leather bracelets, plus it reduces wear on tools and enables clean cuts of leather. 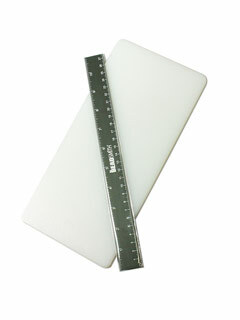 The ruler included with the cutting board is 10.75" so it fits perfectly in tool bins and paper-sized storage boxes. Hurry; claim your deluxe collection before they're gone!